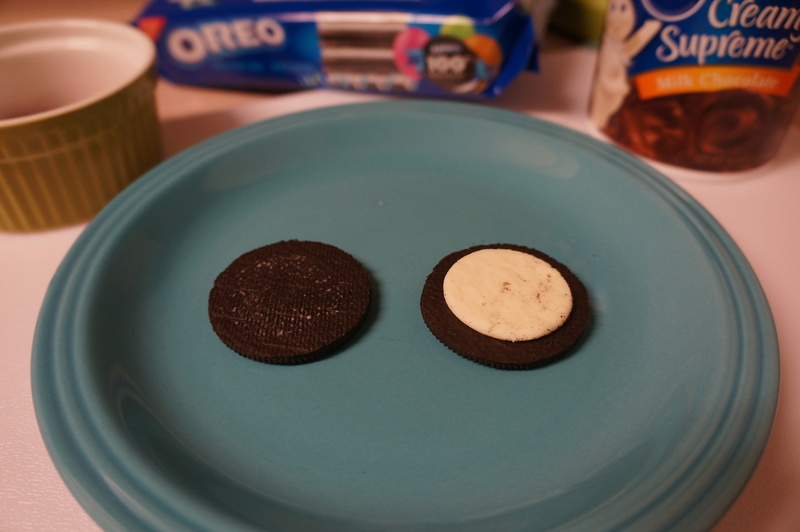 2) Spread a thin layer of chocolate icing on the side of the oreo without icing, and a slightly thicker layer on the icing side. Then add a glob of icing on that same side. 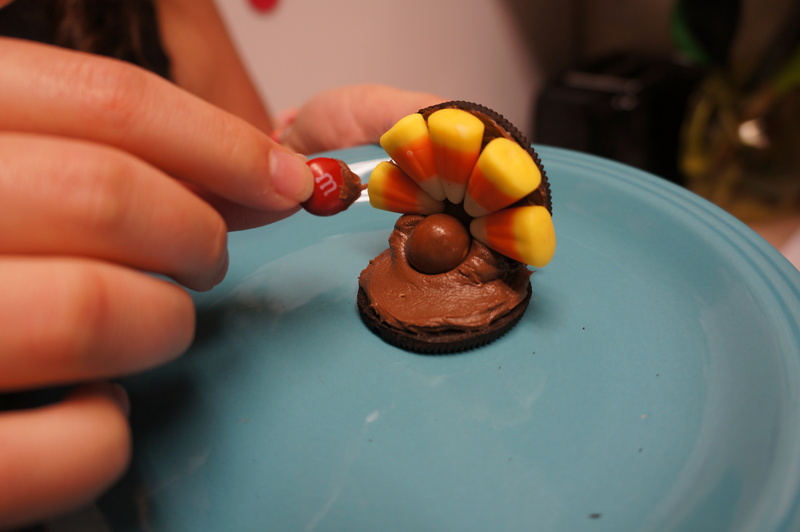 3) Put 5 candy corn on side with the thin layer of icing. These are the feathers of your turkey. 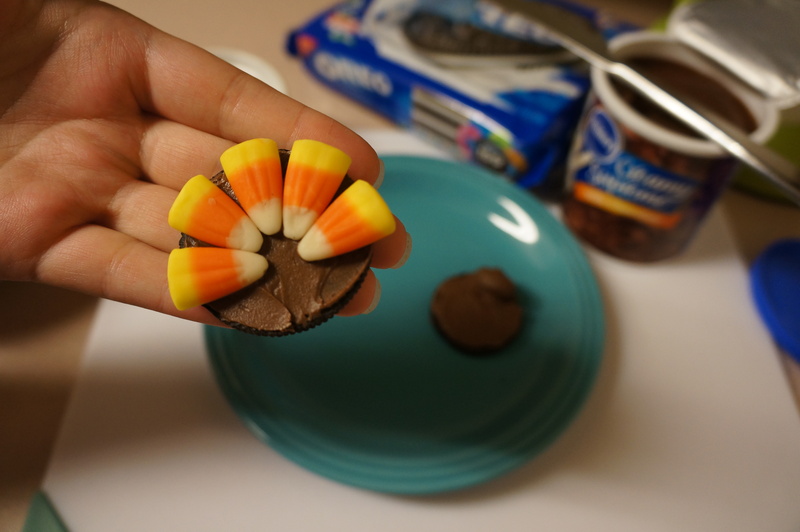 4) Stick the candy corn covered cookie into the glob of icing on the other cookie, while using a malted milk ball to hold it up straight. 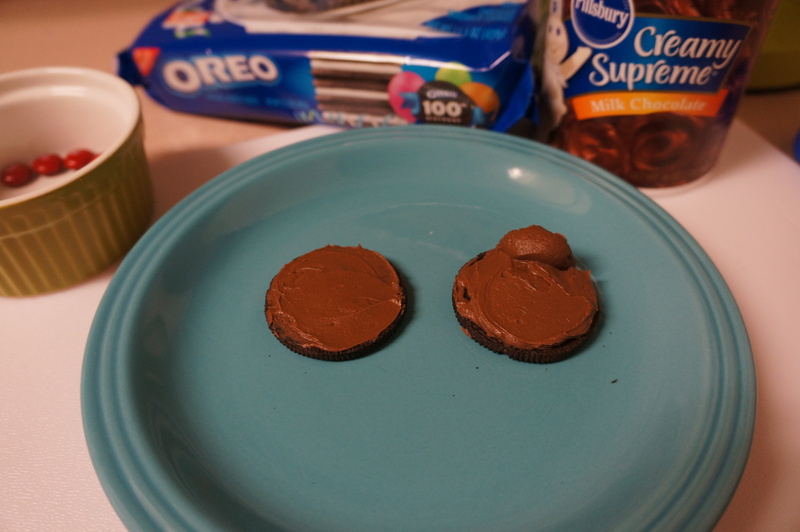 5) Dip your red M&M or redhot into the icing (make sure to put enough icing that it will stick to the malted milk ball). 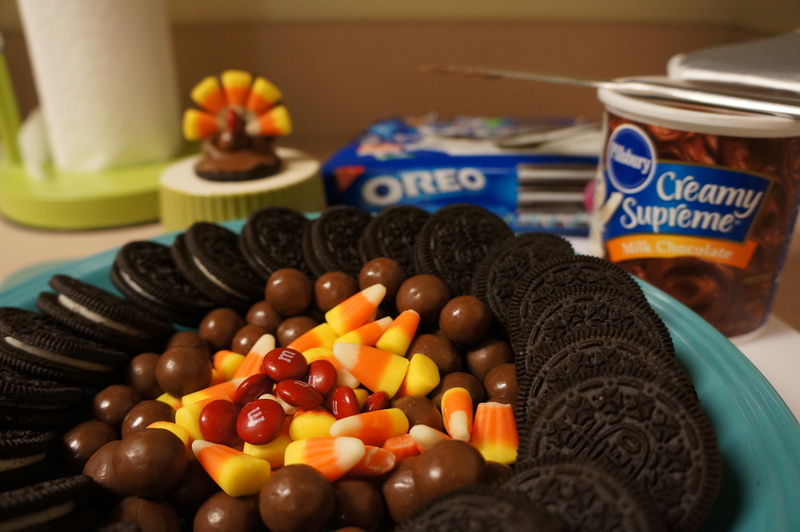 This is a great project to do on Thanksgiving with the whole family. Every year my family gives a few to each of the neighbors and it’s always a hit! 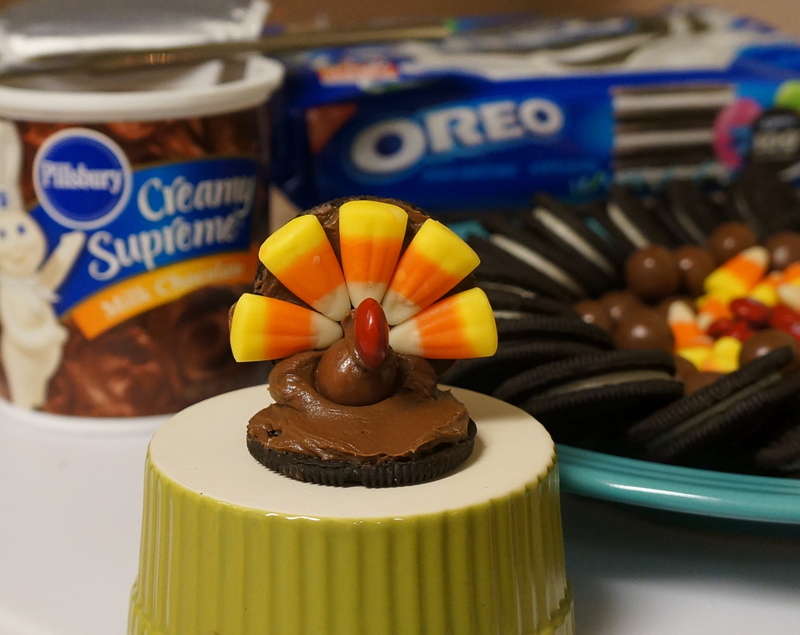 My mom did these at Thanksgiving this past year! My nieces LOVED them!!! 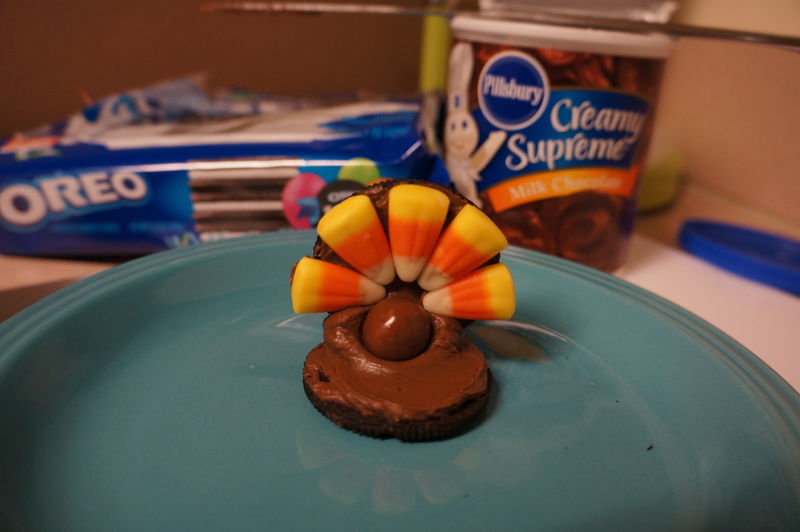 We have made these for many years and kids of ALL ages love to make them! 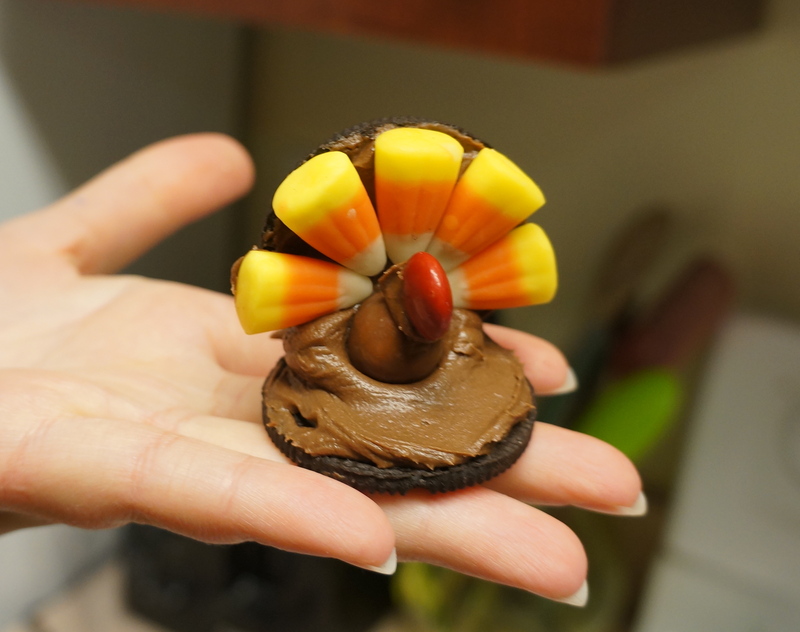 It is almost that time of year to make these adorable turkeys! FYI this is when you buy the candy corn because it is out for halloween, we have had trouble finding it the closer you get to Thanksgiving!!! Plan now and get ready for the holidays!! !